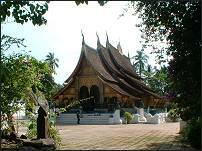 This 10 day tour of the fascinating country of Laos is the perfect introduction. If you like, we can take you into the centre of Luang Prabang at 5:30 in the morning to watch local people give food & rice to the hundreds of monks who line the street. You can also give rice to the monks - your guide will provide sticky rice. (Optional - a very early start!) Afterwards a stroll though the morning market before returning to your hotel for breakfast. Today we travel by road to Xiengkhouang, which was devastated by American bombing between 1964 and 1973 during Indochina War. The journey takes us through beautiful rugged mountain scenery passing many hill tribe villages. 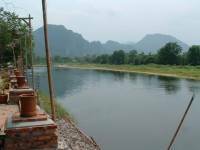 En route, we stop at Sala Phoukhoun, located on the top of hill, then a Hmong village at Ban Phouvieng, Ban Nongthang, Muangsuy and Thampra . 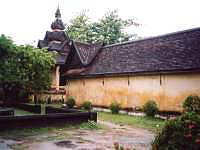 Upon arrival in Phonsavanh by late afternoon we transfer to hotel. 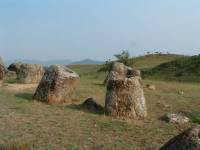 After breakfast, we head out of town to visit the "Plain of Jars", an impressive archaeological site where hundreds of large stone jars are littered all over the plateau. Each of the mysterious jars is thought to have been made more than 2000 to 2500 years ago. We will visit all three sites. After lunch, we visit the local central market, observing their daily lifestyle and colorful traders before returning to hotel. 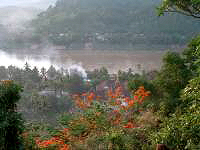 This morning we take a walking tour of the surrounding hills & the river. Afternoon at leisure. Transfer to airport for your flight to UK or your next destination.